YOU HAVE QUESTIONS. WE HAVE ANSWERS. THE MOST COMMON EXPENSE MANAGEMENT QUESTIONS ARE LISTED BELOW FOR QUICK REFERENCE. STILL HAVE QUESTIONS AND CAN’T FIND ANSWERS? CONTACT US TODAY. Why is an energy strategy important? Many organizations have significant electricity and natural gas expenses thus realizing a requirement to employ a sophisticated and consistent effort to properly manage and control these costs. The question being asked in today’s environment is not “should we employ an energy strategy”, but “how do we build and maintain an energy strategy for our organization?” Having professionally crafted energy strategies will not only help to reduce year to year expenses, but they also enable the organization to manage and balance its overall cash-flows and budget. Why wouldn’t I procure my Electricity and Natural gas requirements on my own? If you forge ahead on your own, organizations are simply not taking advantage of the power of aggregation to help lower energy costs for their business and obtain transparency of their arrangements. Energy retailers are motivated to make as much profit as they can from their clients. By working with 8760, you get the benefits of our industry expertise and through our aggregation model, you can take advantage of our ability to lower margins and fees levied by energy suppliers resulting in potentially significant savings for your organization. Your electricity and natural gas billing is invoiced by the company that wins the RFP. 8760’s management fee is included as a separate line item on the bill. Everything is very transparent and clear in terms of what you end up paying for your electricity and/or natural gas expenses. My existing energy contract(s) don’t expire right away, so how/why would I switch to 8760 now? You do have the ability to work with 8760 even if you are in an existing energy contract. We are focused on future periods that you are not already contracted for. Working with 8760 on an energy procurement process well in advance of contract expiry allows your business to take advantage of the 8760 RFP process and leverage today, obtaining future cost stability at the lowest rates possible for the future. This effectively allows your organization to guarantee and plan for future budget expectations well in advance, as opposed to being subjected to unknown market pricing at the time of contract expiry. How does 8760 quantify their value when energy markets can move on a minute by minute basis? No one can predict nor control futures energy markets, therefore 8760 negotiates the only element that can be negotiated; a per unit margin that a supplier levies, based on our entire group’s annual supply requirements. Energy markets are similar to foreign exchange markets in that the only negotiable item is the profit (number of basis points) a financial institution makes on a foreign currency transaction. The actual market exchange rate is not dictated by financial institutions, it is determined by the market itself. Energy transactions are conducted in the exact same fashion. 8760 provides value by being able to force suppliers/retailers to sharpen their pencils and reduce their profit margins resulting in savings to our customers. How does 8760 differ from Energy Retailers or Energy Brokers? 8760 is neither an energy retailer nor an energy broker. Rather, 8760 is a full service, independent expense management and energy procurement firm. Our unique and proprietary tendering process is designed to aggregate the energy requirements of all 8760 clients, allowing the energy suppliers to compete for the electricity and natural gas business in a controlled and systematic fashion. Through this process, 8760 is able to control the terms and conditions received from the retailers/suppliers, and largely eliminate all unfair margin opportunities the suppliers make on an energy supply contract. The overall impact is that our customers are able to achieve greater cost certainty and/or significant cost savings than they would achieve by dealing directly with an energy supplier/retailer. How does 8760 make their money? 8760 makes money through a transparent management fee. These fees are independently disclosed on a separate line item on your energy bill you receive each month. It is important to note that the 8760 fee is offset by the savings delivered by 8760 and is part of the transparency promised. Energy suppliers and/or brokers generally do not disclose their fees and margins, but instead bury it into the commodity ($/kWh or $/GJ) price. How do I move forward with 8760? Our review process is very simple and non-intrusive. We can quickly determine if there is opportunity for 8760 to help your business. If you are in a good position, we will confirm that. If you are not, we will look for ways to improve your situation. It is truly a no-lose proposition. 8760 has dedicated Account Executives to help you with your expense management needs. We are happy to come visit you to discuss opportunities for us to help your business. CONTACT US today to get us working for you. Do I have to wait 2 years for the 8760 tendering process in order for my organization to come aboard? No. Through 8760’s tendering process, we pre-negotiates the supplier margins on a per kwh and/or per GJ basis for both floating rate and fixed price supply for a variety of clients well in advance of when they will consume the commodities in question. Any business may enter our program at any time and enjoy the same benefits every 8760 client currently receives with the incumbent suppliers. This also enables customer to take advantage of currently favorable pricing for contracts dated well into the future. That is part of the value of dealing with a company like 8760 that has your best interests and long term needs in mind. Can we sign up for just electricity or just natural gas, or does it have to be both? 8760’s focus is to create and build energy strategies for our clients across Canada. Energy strategies for organizations typically include both electricity and natural gas expenses, but this will depend on the operating jurisdictions and its regulatory environment (ie. Regulated vs De-regulated). 8760 will work with companies to implement the most appropriate strategies based on their particular market, available options and what is best for the business. Are there other benefits provided by 8760? Tracking energy consumption by site, by department, and by organization for the purposes of risk/exposure identification, and measurement purposes. Tracking detailed energy billings by site, by department, and by organization. Detailed forecasting of consumption and costs by site, by department, and by organization. Tracking and storage of current and historical energy contracts. Futures market tracking for electricity and natural gas, updated daily. Customized query ability, to extract or summarize data and information in any format requested by clients on an ongoing basis. How does 8760 work to help my business with credit card processing? In terms of technology, most merchant providers have very good equipment that is comparable in functionality. Unfortunately, with respect to pricing there is a lot of misinformation and “game playing” when it comes to how customers get charged for their credit card processing services. At 8760, our belief is that organizations really desire cost clarity, cost certainty, and honesty when it comes to what they pay for service. 8760’s review process is very simple, non-intrusive and will quickly determine if you are paying too much for your service. If our review determines you are in a good situation, we will confirm that. If you are not, we will provide recommendations on how we can help improve your situation. It is truly a no-lose proposition. Why deal with 8760 for Card Payment Processing rather than another service provider? A review of your current systems. Are you using the right service option? Hi-speed, cordless, and wireless terminals are available as well as PC based systems. A review of your current merchant statement. We will clarify statement entries such as non-qualified items, assessment fees, and settlement fees and calculate your true effective cost. Flexibility of depositing to any Canadian financial institution. What products does 8760 offer? 8760 offers a full suite of card payment processing solutions. Whether you require a standard table top terminal, long range wireless service for payments anywhere, ecommerce solutions to enable your website for online payments or a gift card or loyalty program – we have you covered. Our solutions utilize the latest and greatest technologies currently available in the marketplace. And our team of Account Executives are here to help determine what will work best for your business at a price that is fair and completely transparent. 24/7 access to daily card transactions. Clients have the ability to export data into spreadsheets and accounting programs. Increase Sales -Over 47% of customers spend more than the initial face value of the gift card. Increase Profitability -19% of gift cards are never fully redeemed, this translates to pure profit. Powerful Promotion Tool -The possibilities are endless from frequent shopper cards to door prizes, to referral rewards, etc. Brand awareness –Companies, regardless of size, can build their brand awareness in whatever market they operate. Pricing in the card payment industry is very complex. 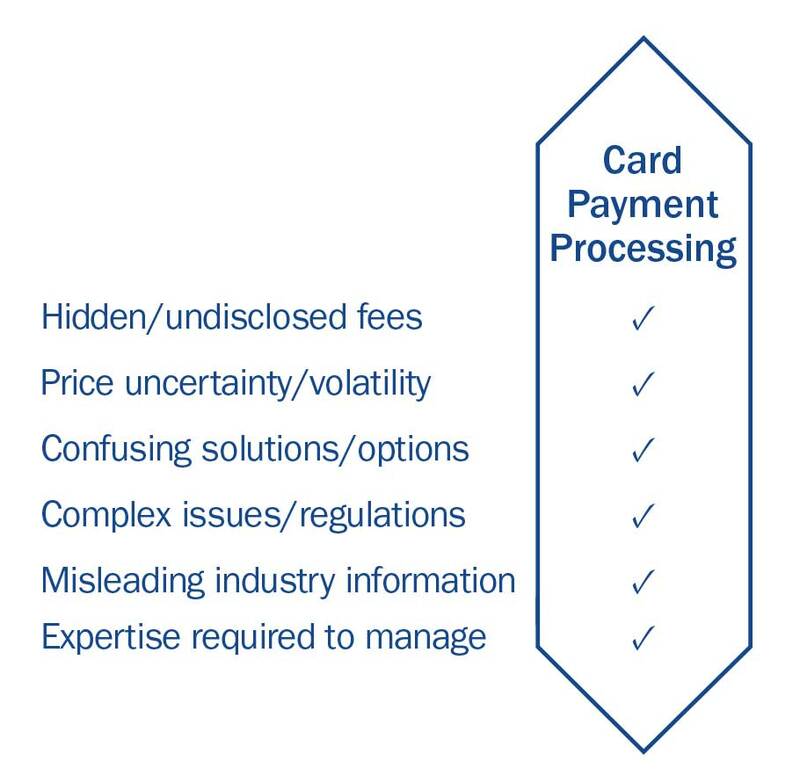 There are base costs that every processor in Canada are charged by MasterCard and VISA card associations which is supposed to create a level playing field and provide some clarity with respect to the end price paid by a business wanting to accept credit cards as a payment option. 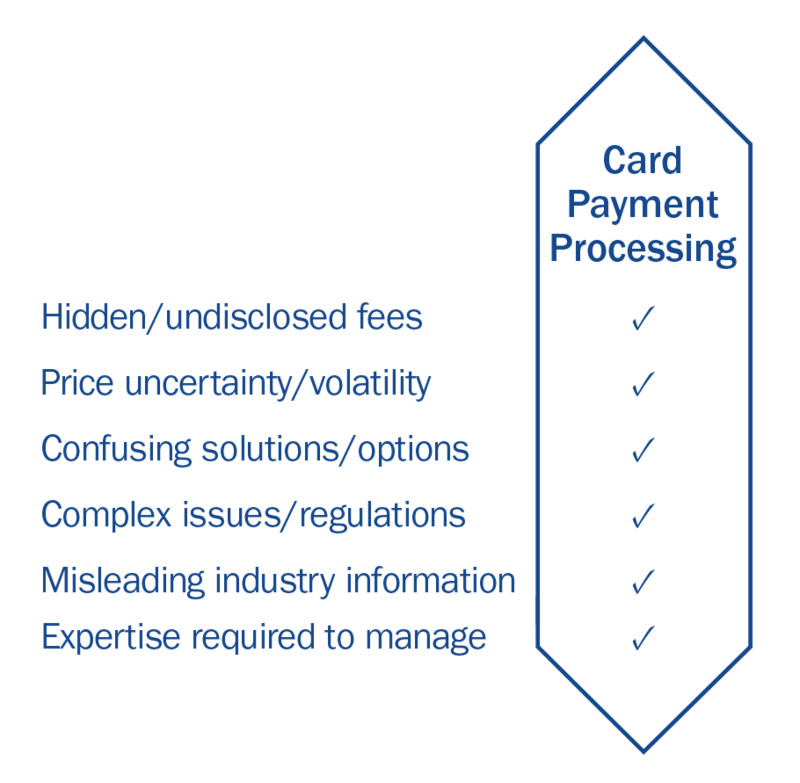 However, there is very little clarity and transparency that is provided with respect to how the various card processors levy their fees and the kinds of fees that are charged over and above these base costs. This “shell game” creates a lot of confusion for customers and often results in businesses paying too much for their service. 8760 helps to shed light on exactly how businesses are being charged for their card payment processing services. We take pride in educating customers on how this business works and showing where they can save money on their processing costs. We take a transparent and honest approach to our pricing and customers appreciate the honest and positive impacts to their business. We will customize our pricing based on your business needs and how you are processing credit cards today. This will get you the best pricing and the best value for your situation. How do I get 8760 help with my credit card processing needs? 8760’s process is very simple and non-intrusive. We will review your current situation and the pricing you have in place by reviewing your current card processing statements. We will be able to determine very quickly if there is opportunity to help your business. If you are in a good situation, we will confirm that. If you are not, we will provide recommendations on how we can help improve your situation. It truly is a no-lose proposition. Simply CONTACT US today and one of our Account Executives will be in touch to schedule a discussion. It is really that simple. The only risk that customers run is not knowing if your current situation is a good or bad one. Are you paying too much for your current services? Is it the right solution for you? Engaging 8760 to provide an assessment will provide you clarity with respect to your current arrangements. 8760’s process is very simple and non-intrusive. We will review your current situation and the pricing you have in place by reviewing your current card processing statements. We will be able to determine very quickly if there is opportunity to help your business. If you are in a good situation, we will confirm that. If you are not, we will provide recommendations on how we can help improve your situation. It truly is a no-lose proposition. 8760 has partnered with leading service providers and can handle any processing need or situation that customers may have. CONTACT US today to see how 8760 can help your business.